UK based illustrator, LUMPS gets his artwork transformed into 3D art sculpture/toy or whatever medium you wanna call it. Powered by the folks at Mighty Jaxx, Cig Pack is the first to make the transition and if the final outcome is anything like the render then LUMPS fans of new and old should be happy. 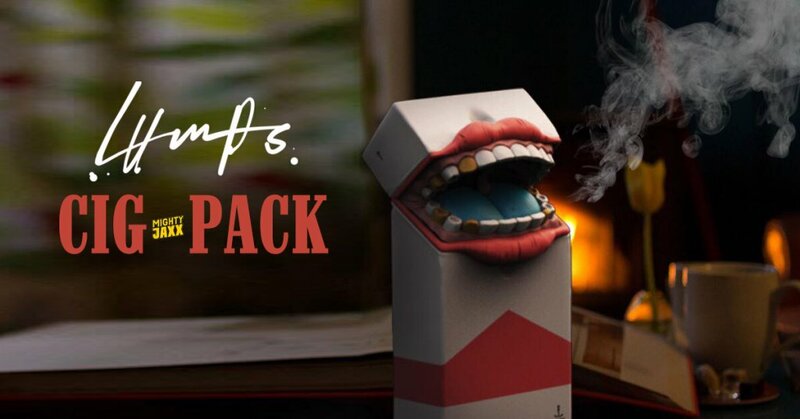 Will you picture Lumps Cig’s on your next pack of Cig’s? Incorporating absurdism with grotesque detail, he brings the pack to life by adding a human mouth as a finishing touch! WHEN: 10 am EST, 4th November 2017. Find Lumps at https://www.lumps.shop/, http://www.lumpsillustration.com/ Instagram, Facebook and Twitter.